Field Test Kit confirms presence of arsenic in wood. 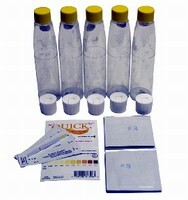 Arsenic Test Kits minimize hazards and inconveniences. 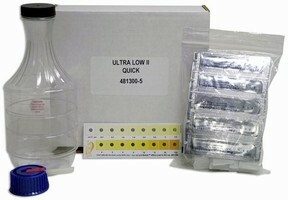 Portable Test Kits detect arsenic. 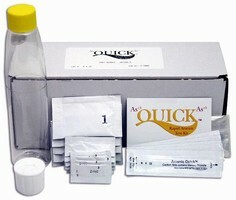 Available in 5 and 2 tests with detection ranges from 1-500 ppb, Arsenic Quick(TM) Mini-Kits yield accurate results in less than 14 minutes. All reagents are in powder form and have been selected to minimize hazards associated with conventional arsenic testing. 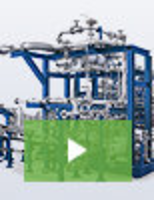 Test procedure requires only 3 reagents that are labeled and color coded. Matching color chart is included.